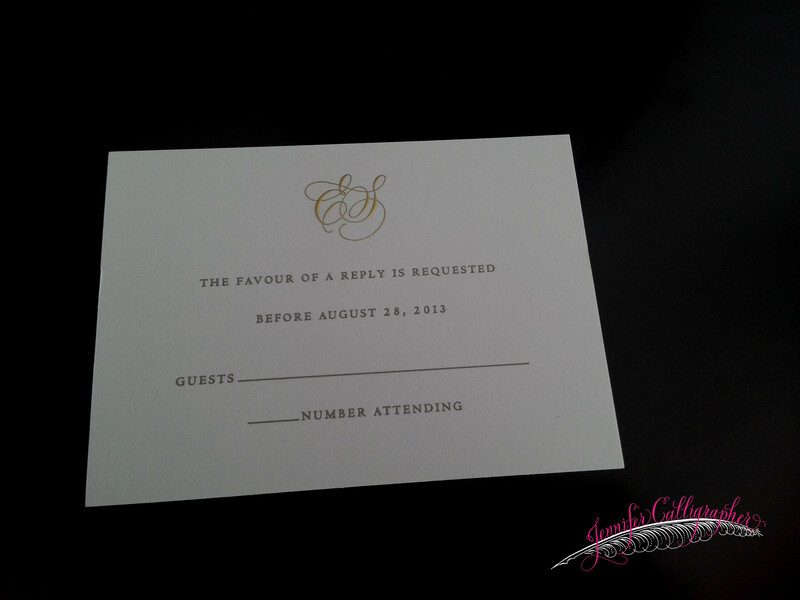 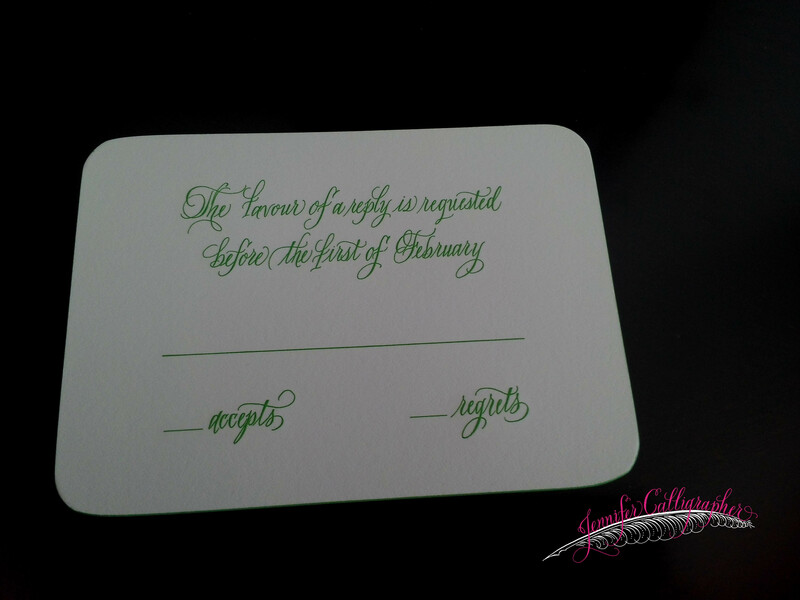 In preparing your wedding invitations, not only do you need to decide on the wording for the invite, but for your response card as well! 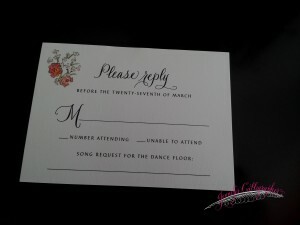 You can do something elegant and traditional, or, you can think out of the box and do something fun! 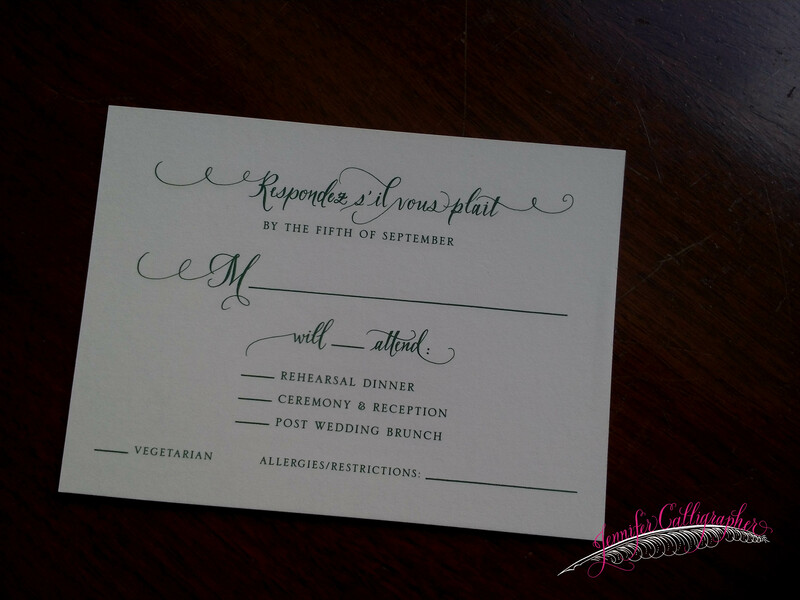 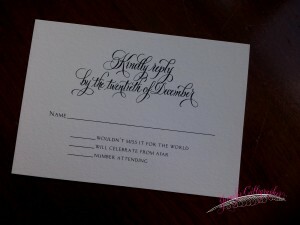 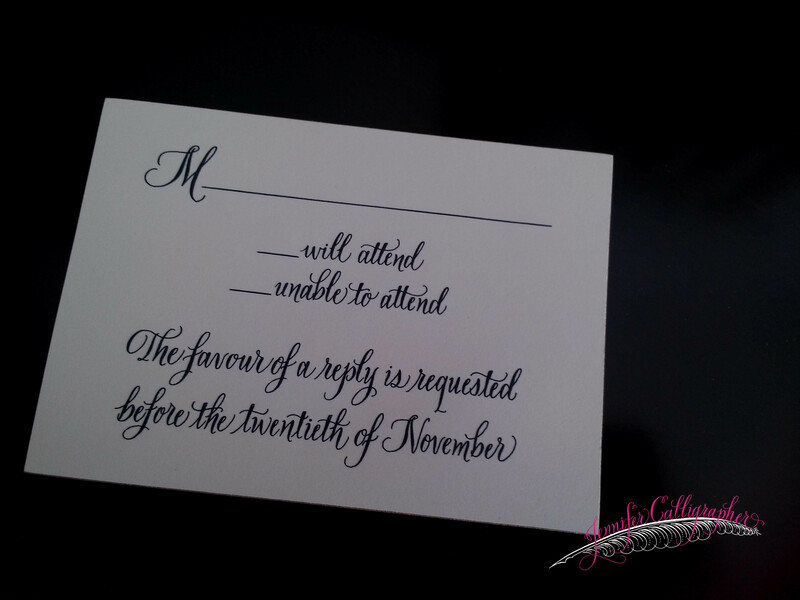 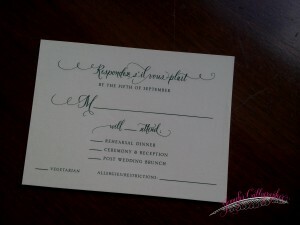 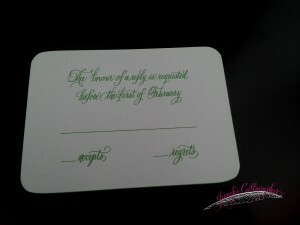 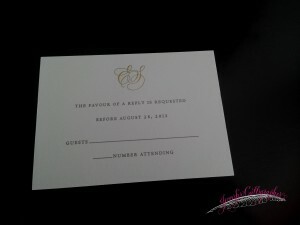 Enjoy looking at pictures below of several response cards I have provided calligraphy for… they are all unique! 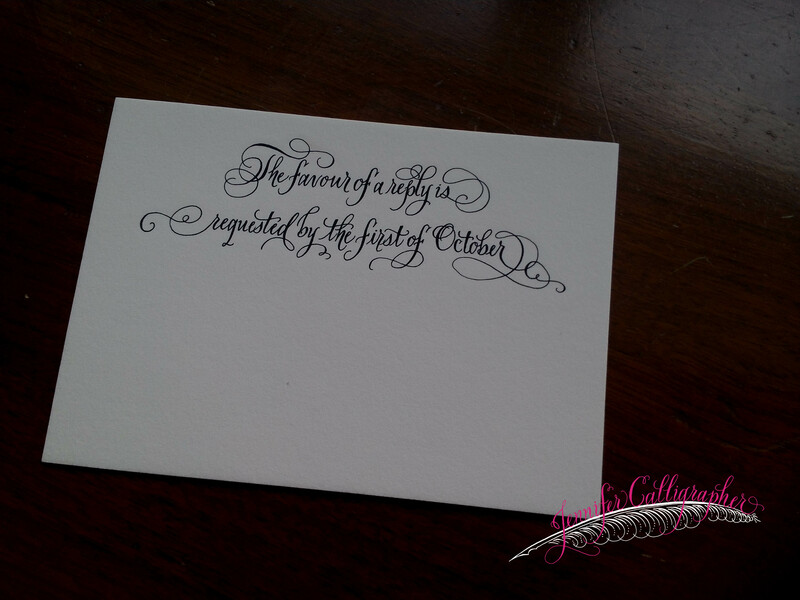 This entry was posted in Calligraphy, Calligraphy for Weddings. Bookmark the permalink. ← Christmas is just one month from today!